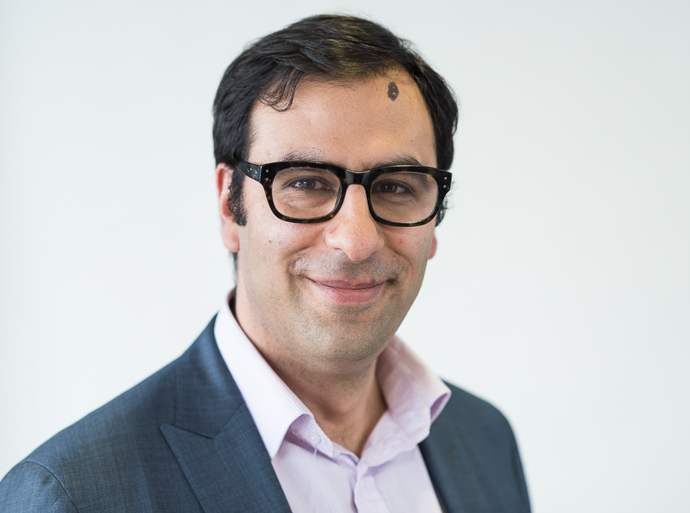 Dr Ali Khavandi is a Consultant Interventional Cardiologist at the Royal United Hospital Bath NHS Foundation Trust. He specialises in complex angioplasty and advanced rhythm device implantation. He is part of the Consultant team providing 24/7 emergency treatments for the regional heart attack service at the Bristol Heart Institute. Additionally, he implants complex pacemakers and defibrillators at the Great Western Hospital in Swindon. He has a special interest in minimising pacemaker scars and the role of diet in cardiovascular conditions. This has led to appearances on BBC Horizons and he currently writes on the subject of diet and health for the Observer. Ali has rare dual subspecialty training. This provides additional insight across a spectrum of cardiac conditions and treatments which are often linked. He is a contemporary, complex angioplasty operator who performs the majority of procedures via the radial artery (statistically the safest option). He has the expertise and access to the full spectrum of modern techniques and adjuncts including rotational atherectomy, intravascular imaging, chronic total occlusion treatment and Laser-assisted angioplasty (Laser unique to the region). Ali has introduced this new service to Bath, which consists of resynchronization pacemakers for heart failure and implantable defibrillators. He implanted the first new generation ‘leadless’ defibrillator in Swindon and has a specialist interest in surgical techniques which improve outcomes, hide devices and minimise scars. Ali has Persian parents but was born and brought up in Bath. He went to school at King Edward’s where he received 4 As at A-level and left with the prize for all-round performance. He spent the majority of his childhood summers playing tennis at Lansdown tennis club. He went to University in Manchester, which culminated in the Professorial house job. Following this, he trained in London and Bristol with the majority of cardiac training at the Heart Institute. His first consultant appointment was at the prestigious Royal Harefield and Brompton NHS Foundation Trust but the strong links to Bath brought him back in 2013. He is married to Heidi, who is Sister of the Acute Medical Unit at the Bristol Royal Infirmary, and his daughter Ara was born in 2015. Optimal surgical techniques for ‘hidden’ pacemaker implantation. Ali has a national profile for surgical skills training as relevant to cardiologists (see education). This has lead to close collaboration with plastic surgeons to establish techniques for minimisation of pacemaker scars and ‘hidden’ devices. This provides a relatively unique service for patients with options to revise previous unsightly scars or uncomfortable devices. Unusually for an interventional cardiologist with profile and enthusiasm for advanced procedural treatments, Ali is equally passionate about the underlying causes, prevention, and contemporary solutions through an integrated diet and lifestyle approach. As a food enthusiast, he is the founder of the Cardiologist’s Kitchen initiative and this has lead to hospital food improvement projects, engagement with the food industry (including the major supermarkets) and media. He has advised and appeared on BBC Horizon television series as an expert and national newspapers. He is currently writing articles and recipes for the Observer. Clinically, Ali provides a tailored dietary prevention and weight management service for patients with high blood pressure, high cholesterol and associated condition such as atrial fibrillation, many of whom can significantly reduce their tablet medication burden, avoid more complex treatments and improve symptoms through simple dietary and lifestyle changes. In 2010 Ali was the lead author for the published paper, “Cardiologists should have basic surgical skills training” - providing patients with the highest quality procedural outcomes by focusing on the fundamentals is a subject he remains passionate about. He is founder and director of the Essential Surgical Skills course which runs at the Royal College of Surgeons and the consultant-only Advanced Surgical Techniques course for leadless defibrillator implantation. He is a simulator training lead for the British Cardiovascular Society and regular invited faculty at national meetings including Advanced Cardiovascular Intervention and Heart Rhythm Congress. Ali is editor of the UK Core Cardiology training textbook and accompanying multiple choice questions book, which received a BMJ book of the year award. He is currently commissioned to produce the pan-European second edition in collaboration with Oxford University Press. Ali is published in international journals on a number of subjects. His past area of interest was around contemporary transcatheter structural and endovascular treatments, including aortic valve implantation and thoracic aortic aneurysm repair. His current interest is modern dietary approaches to risk factors such as high blood pressure and is currently leading the development of a collaborative project in Bath.